August 28, 2013 marked the 50th anniversary of the March on Washington for Jobs and Freedom. The March was a pivotal event in the Civil Rights Movement and where Martin Luther King, Jr. delivered his famous "I Have a Dream" speech. 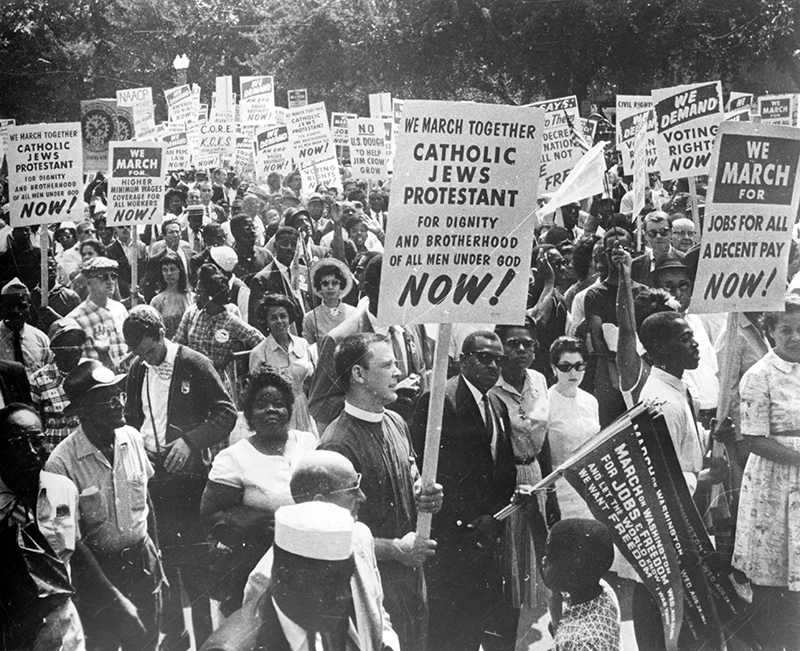 Many Presbyterians were part of the struggle for equality. These resources shed light on the dynamic role Presbyterians played. 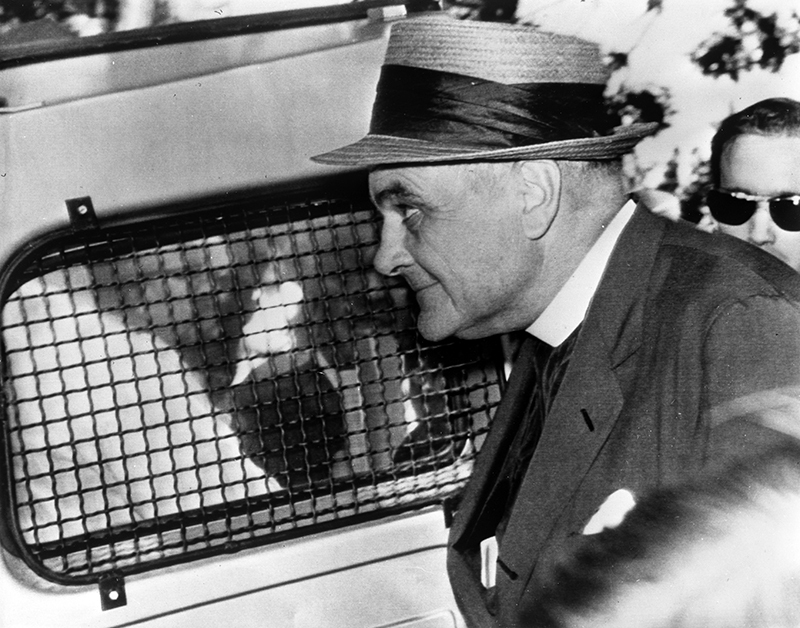 "Presbyterians and the Struggle for Civil Rights," is an article from The Journal of Presbyterian History written by Frederick J. Heuser discussing Presbyterian involvement in the movement. "Reminiscences from the March on Washington, 1963" are stories written by Presbyterians who participated in the March that hot summer day in August; these accounts first appeared in the Civil Rights special issue of The Journal of Presbyterian History. 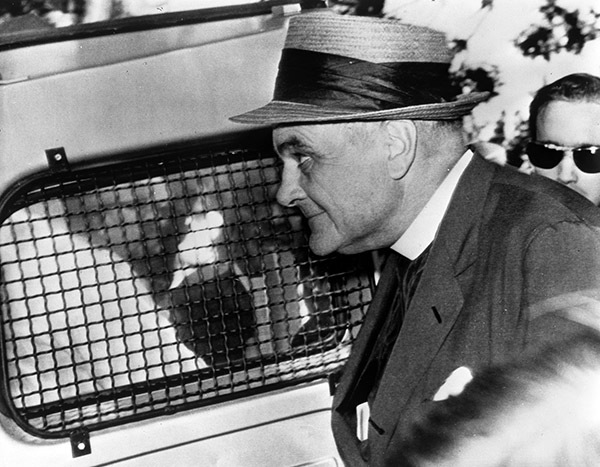 On July 4, 1963, Eugene Carson Blake, Stated Clerk of the UPCUSA, challenged the owners of Maryland's Gwynn Oak Amusement Park to desegregate and was subsequently jailed in Baltimore for trespassing. "A Non-Segregated Church in a Non-Segregated Society: Presbyterians and the Civil Rights Movement" features materials from the PHS collections about Civil Rights activism in the Presbyterian Church, reprinted from Our Documentary Heritage in The Journal of Presbyterian History, 2012. 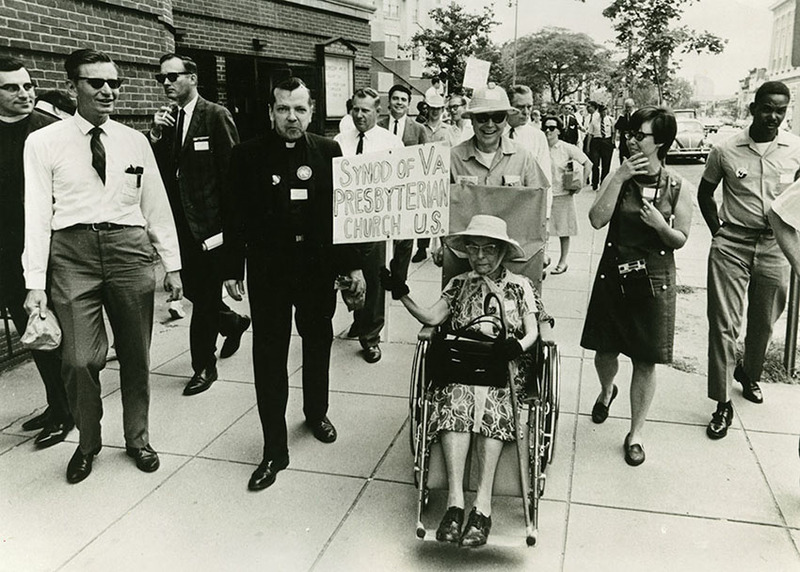 Presbyterians and the Civil Rights Movement, is an online exhibit, that is also free to download. Listen to excerpts from Martin Luther King Jr.'s recorded speeches cared for by PHS. Marching Toward the Dream, a PHS sponsored event featuring stories of the Civil Rights Movement told first hand by Presbyterians. Black Presbyterians: The Legacy Series, a Presbyterian Church (U.S.A) series about the struggle for racial equality. In the August 1, 2013 issue of The Stated Clerk's Column, The Reverend Gradye Parsons, Stated Clerk of the General Assembly, marks the 50th Anniversary of the March, and reflects that there is still work to do.